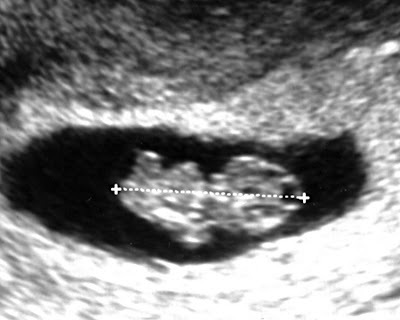 This is our baby at 9 Weeks. We're waiting for you my little one. OMG- congratulations - how exciting! and how darling to share that picture with us. Oh Congratulations to you sweetie, thats fabulous!! Oh! Congratulations, dear Danita!!!! Smiles for you all! OH! Congratulations! :D So happy for your family! Hi Danita . . I don't know you . . but I do know what a special time in your life this is . . you'll never want to look back. Children are assignments from God, big responsibility, but so worth it. Congratulations and God Bless! Enjoy Motherhood! We are all waiting for you, little one, so we can look into each other's eyes for the first time. YAY congrats to you and the family!!! yeeeaaaaaaaa! i am so happy for you!!! Danita and family----Thirteen years ago, at the age of 42, having suffered w/ infertility and after having received the biggest order of my career (Neiman Marcus), I found out that I was pregnant!!! Everything always happens at once I believe! And you have so many blessings between work and family....enjoy the ride!!! I am so very happy for all of you!!! how nice! blessings for your new baby! i wanted to ask you if you sell journals! oh MY MY MY MY MY!!! oooooh congratulations!!! It's a beautiful news!!! I'm so happy for you!!! ♥ Big big hug! OHHHHH CONGRATULATIONS!!!!! I am SO HAPPY for you! Oh Danita!! I am so excited for you!! That is awesome news! Thanks so much for sharing it with us! I can't wait to see a little Danita!! Wow, congrats! That is amazing! Danita, felicidades!!!!! Que linda noticia! Abrazos a ti, tu familia a la pildorita! Que emocion!!!!!! Oh I have goosebumps the size of mountains! Congratulations and best wishes for a easy going pregnancy. xoxoxoxo! Congratulations! Wishing you many blessings! Congrats Mrs danita and Mr danita! New life never gets old! ! Congratulations! Cute picture of your little "gummy bear". That is wat my oldest daughter said the sonogram picture looked like! Oh Danita Congratulations!! I almost cried when I clicked the link from your newsletter and saw your sonogram. You two must be so happy and this is one lucky little one to have you for a mommy! awww... how sweet! Congratulations to you!! How wonderful! Spring is perfect timing. You are sowing in the spring, and you will harvest in the fall. May God shower you and your family with His richest blessings. yupiii, que emoción Danita, tan lindooo!, tengo que compartirte una meditaición para las embarazadas que te va a encantar, es un encuentro maravilloso con esa almita linda.. uff, felicidades preciosa,!!!! a toda tu familia, nuevo integrante que bonito!. Besotes. Congratulations That is wonderful news for the whole family. Hooray Hooray!!! How very exciting!!! Wishing you all the very very best!! Congratulations! I'm so happy for you and your family! Congratulations!!!! I love this news. I am so happy for you. Sweeeet. Congratulations and much happiness to you and your loved ones! Oh, Danita, such a blessing! Congratulations!!! Yay!!! A baby!!! How exciting!!!!!! What a blessing! I'm so happy for you and your family. Congratulations, Danita! Te deseo lo mejor. Y que disfrutes mucho de tu embarazo. Y cuando llegue el momento, que disfrutes aun mas cada instante con tus hijos. Mil bendiciones!! i loved being pregnant and i can't avoid wishing you the best in the world. Danita!! Incredible news! I'm so excited and happy for you! I pray for a healthy journey into this world for your new little blessing! Enhorabuena!!! Es una noticia muy bonita!!! Congratulations my dear Danita! i wish you and the baby all the best! Congratulations! Very fabulous! Best wishes to you and your family! Take care of yourself and thank you for sharing! How very exciting!!!!! Lucky you. Two angels in your house:) Big congrats. to you, Mr. Danita, and big sister! hi! i can;t find in your etsy your wonderful rings! are they all sold out? i wanted to buy them!!! oh please.please make some others! i adore them! please answer me and tell me where can i find them!!! Total Congrats to you, Danita!! God Bless you and your entire beautiful family! Oh! Is a little person. Congratulations!! Congratulations Danita. I´m pregnant too and i think is fantastic. Kiss for you. Congratulations Danita what a wonderful reason to feel unwell. Wow congratulations, how absolutely wonderful! Congratulations!!! These are great news!!! I hope you have a healthy pregnancy!! Hugs!